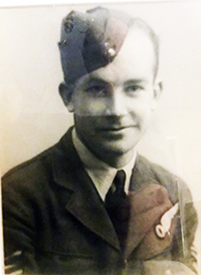 Sgt Cope Jack Edward - DFM. 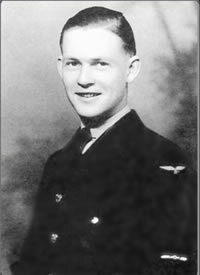 Shot down in the night of 28/29 August 1942 after a raid on Nuremberg by German night fighter Hauptmann Bietmann, 11./NJG1. Cope John send us a photo of his father in uniform. John pointed out that the other man on the photo is NOT a correct one. Photo on the right is from the Belgian State Security archive file, and taken at Antwerp by the Belgian escape line Comète for his fake passport. Report of the escape GSP 869 (incomplete). The aircraft took off from Marham at 20H30. 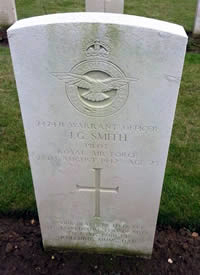 Three men lose their lives: the pilot, W/O John George Smith, age 23; gunners Sgt John William Sharpe, age 20 and Sgt Leslie George Carr, age 20. All three are buried at the Heverlee War Cemetery near Leuven. 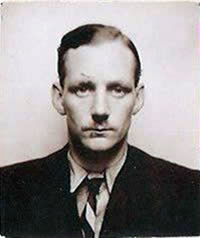 Sgt Mackenzie N. J., RNZAF was taken prisoner. The aircraft is hit by Flak over Luik, and the main body as well as the hydraulic system were dameged. Sgt Jack Cope jumps at 6000 m and lands in a field of turnips. He cannot bury his parachute and decides to hide it under a pile of leaves. He walks for three hours in the South-West direction, across fields and alongside railway-trails, avoiding populated areas. Around 2h00 in the morning of August 29, he rests in a stack of hay at Folx-les-Caves, about ten miles West of Hannuit/Hannut. He wakes up around 5h00 and is spotted by a farmer's wife to whom he says "I am English." The woman takes him into the farm and feeds him. He asks for the priest’s address, but as the priest is not home, he tries to gather information from other farmers. He is then taken to a more prosperous farm, fed, completely dressed in a civil suit and given the sum of 1500 BEF. Around 11h00, a member of the family takes him to Brussels where he is brought into contact with an escape organisation. Cope stays in Brussels for another four days, from the 29th of August to the 2nd of September, he goes from house to house. The first night his companion and host is Emile Heyde, 45 Avenue Thibaut, Etterbeek. Heyde then takes him to stay with Jacques Miedzinsky a waiter at Tavern Gruber, Place Rogier, then to M. Matton, Chaussée de Mons and to M. Vogelaers, Avenue Croix de Feu. On the 2nd of September he travels to Antwerp by train and stays there for one week. He is lead into a large store where photographs are taken and where he is given Belgian papers. Two assistants in Antwerp are Robert "Porece" Poreye and Mr "Scott", Louis Deschodt. On September 7th Poreye informs Heyde that Cope is ready and an appointment is made at the Tavern Gruber, Place Rogier. He returns to Brussels on September 9th and stays for a week with the Marechal family, guided by Elsie. Here he learns about an English native from (Newcastle) hosting two wounded soldiers. On September 16th at 7h00 he leaves for Paris, guided to the station by Elsie. Identity checks are made all the way. At 18h00 his suitcase is inspected upon his arrival in Paris. He is lead to a place near the Duroc metro station (Boulevard des Invalides) and taken in by “a man who has a reputation for being a good "cook". Here he meets Andrée "Dedee" and her father "Paul" Frédéric de Jongh. Three Belgians belonging to the organization. Another member is Elvira Morelle, a French woman whose brother is in the hands of the Gestapo (Charles Morelle). This man had helped Andrée de Jongh establishing her organization. Cope receives an identity card and leaves Paris on the 2nd of October (? Sic). It is effectively the 20th of September when he leaves Paris in the company of two women, "Dedee" and Jeanine De Greef and escapees Van den Bok, Wasiak, and Costello-Bowen. They receive tickets to Saint-Jean-de-Luz", Bayonne, from the girl's mother (auntie "Tante Go") and an Englishman ("in order not to appear to come from direction Paris”). They leave for Spain on the evening of the 22nd. 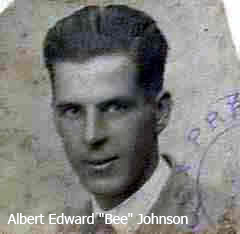 They gather in a farm: four airmen, two women (Dédée and Jeanine) and "Bee" Johnson. Dédée, Johnson and a Basque guide lead them to Spain. A 5h00 they arrive at the farm. They take a rest there while Dédée goes to San Sebastian to find a car that picks them up at 20h00. They stay with Federico Armendaris. On the 24th, the consul of Bilbao tells them they will leave for Madrid the next day. They stay there for three days and then go on to Gibraltar by train, escorted by a Spanish policeman. They remain four days in Gibraltar and are repatriated at the end of October. 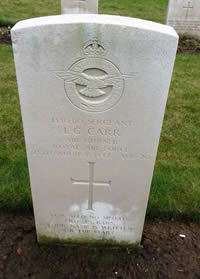 1377332 Flight Sergeant Jack Edward COPE, No. 115 Squadron. the highest traditions of the Royal Air Force.